With all the buzz around the new iPhone 6 and iPhone 6 Plus, many people are forgetting one of the biggest deals – just in time for the holiday season – that came out of Apple’s latest announcement. The iPhone 5c is now FREE with a 2-year contract. That means people who have never been able to afford an iPhone before can now get one with their choice of carrier. Gotta Be Mobile points out that the iPhone 5c is “essentially an iPhone 5 wrapped in a new design with a slightly better camera…” An especially popular design that people have come to love for its many color offerings. And with all of that money you’ll save on the iPhone 5c, why not invest a little in protecting it with our military-grade CandyShell? 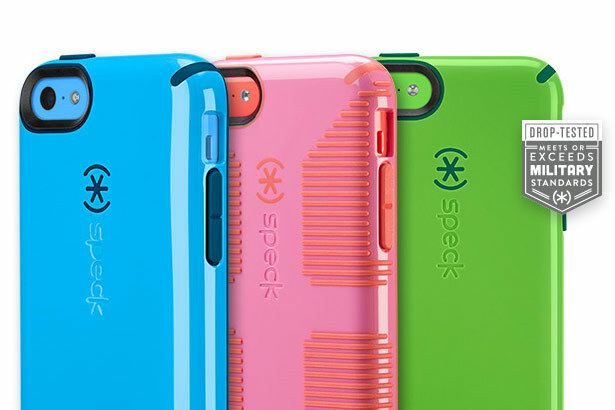 We’ve got colors to match your device, as well as functional cases that help you get a grip with raised rubber ridges, or wallet cases with handy card slots that let you carry more with less. Shop iPhone 5c cases today, and be sure to sign up for our newsletter to get exclusive holiday deals & discounts over the next couple months!